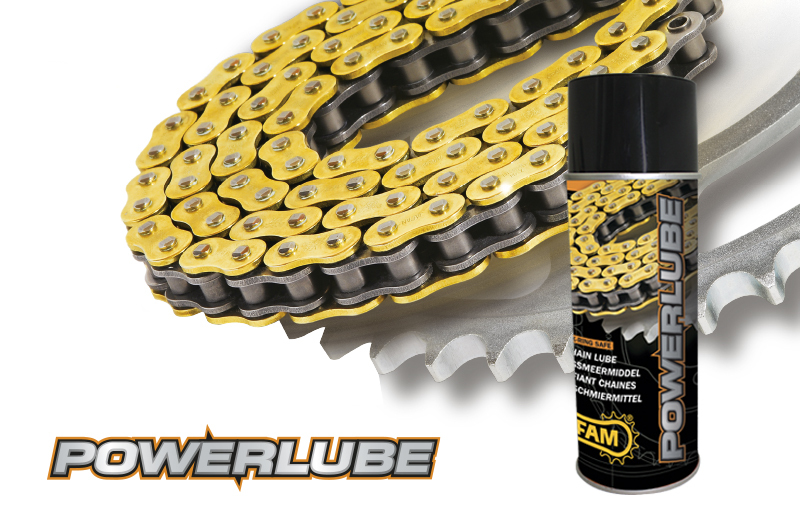 AFAM Powerlube is a spray with a synthetic lubricant suitable for all chain drives of motorcycles, mopeds, bicycles, quads and karts. Due to its composition and functioning the product penetrates well into all parts of the chain. The solvent makes the product fluid for an easy appliance and to penetrate deep into all parts of the chain. Thereafter a solid lubricant film remains which is not easy projected from the chain so that your vehicle stays clean. Proper lubrication not only extends the life of your chain but also reduces the driving noise, protects against corrosion and preserves the right flexibility of the chain.